I love the pink sheets in the new Easter Greetings collection, they are simply beautiful ♥! 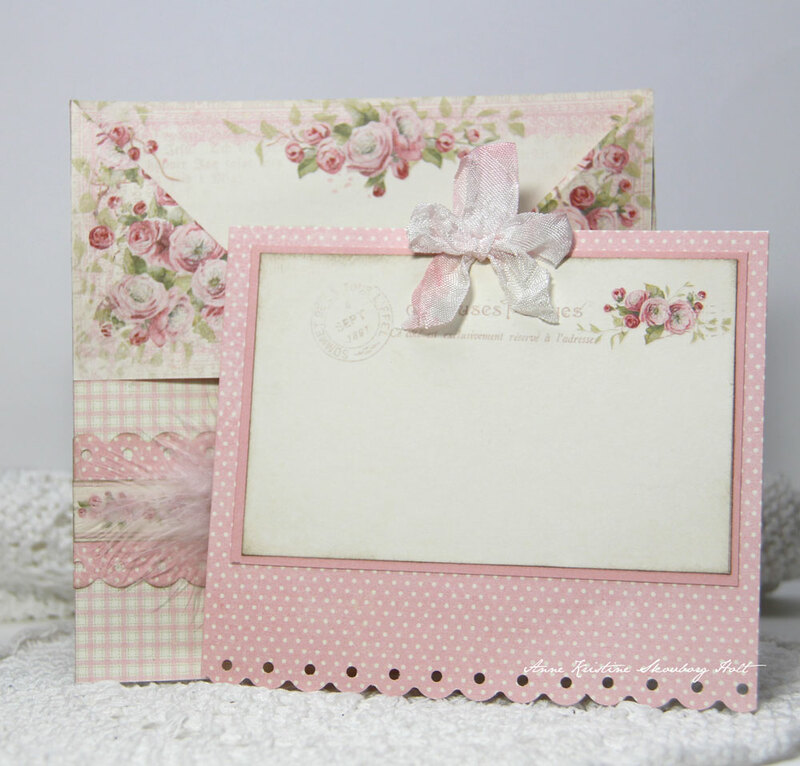 Together with all the adorable details, borders and postcards you can create such exquisite projects. 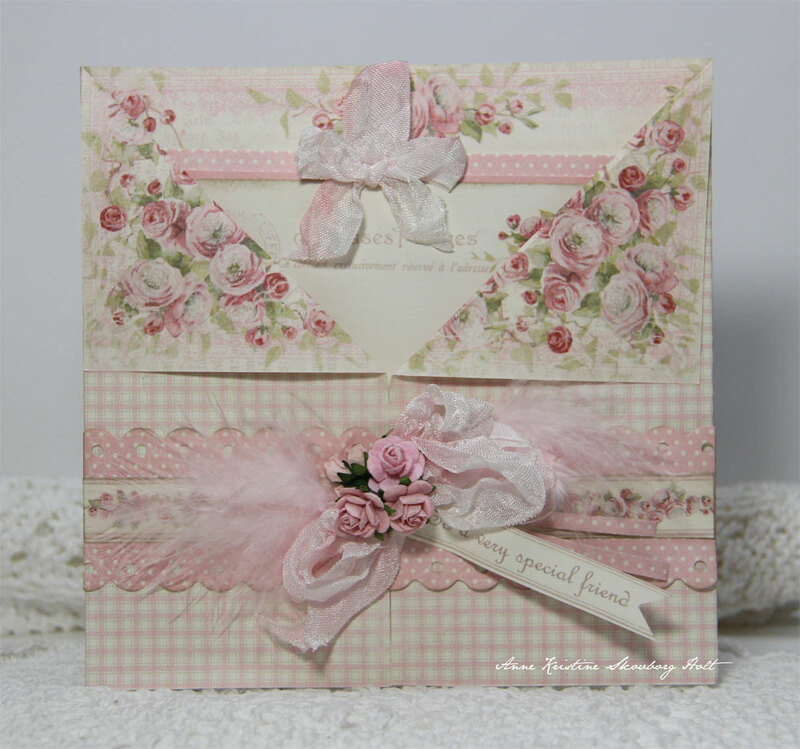 It’s so easy to create with Pion’s collections, and today I have a folded card with a matching tag to show you. Hvor er det flot og super romantisk. Er helt vild med det kort her, og det smukke papir, du har brugt.